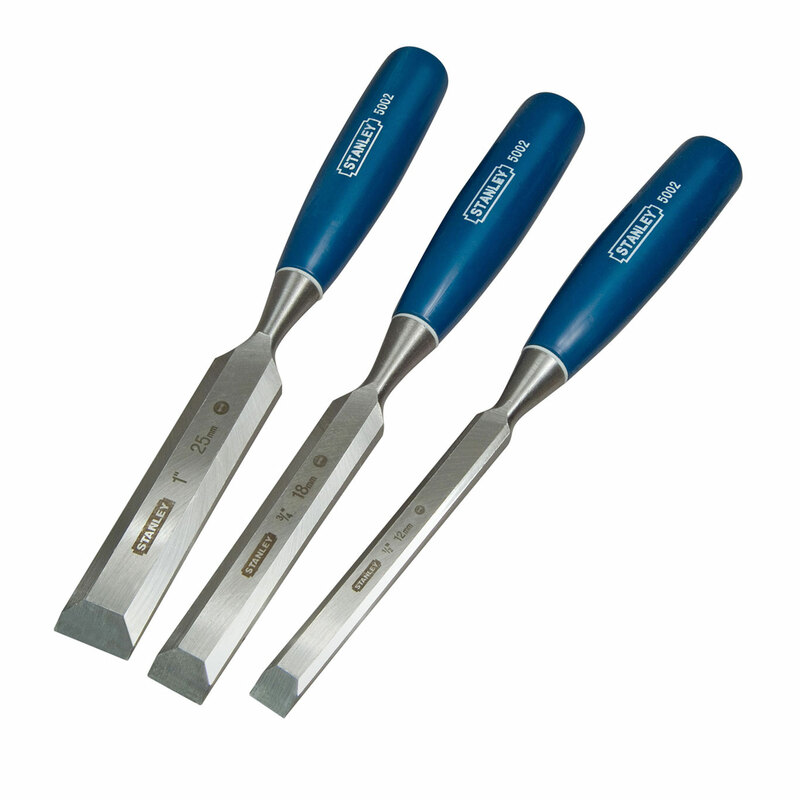 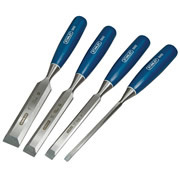 Stanley 0-16-128 5002 Series 3 Piece Bevel Edge Wood Chisel Set with high carbon steel blade. Fuully heat treated, forged steel for strength, durability & sharpness retention, lacquered for rust prevention. Polypropylene handle for a comfortable grip, practically unbreakable.